Korean-American actor Daniel Henney visited Macau for a photoshoot with 1st Look Magazine [Kr]. The hunk has not starred in any Korean drama/movie in the past few years but still featured regularly in various Korean magazines. Korean-Canadian pop singer G.NA in recent issue of 1st Look Magazine [Kr]. She’s expected to release a new album this month, but it’s postponed amidst the ferry disaster; most Korean entertainment activities have been halted in this period. Korean-American actor Daniel Henney is featured in latest issue of Korean 1st Look [Kr] Magazine. The 33-year-old kick-started his acting career in South Korea but hasn’t starred in any Korean production since 2010. Korean pop group Girls’ Generation’s Hyoyeon – who’s getting a bit more attention recently – is featured in latest issue of 1st Look [Kr] Magazine. 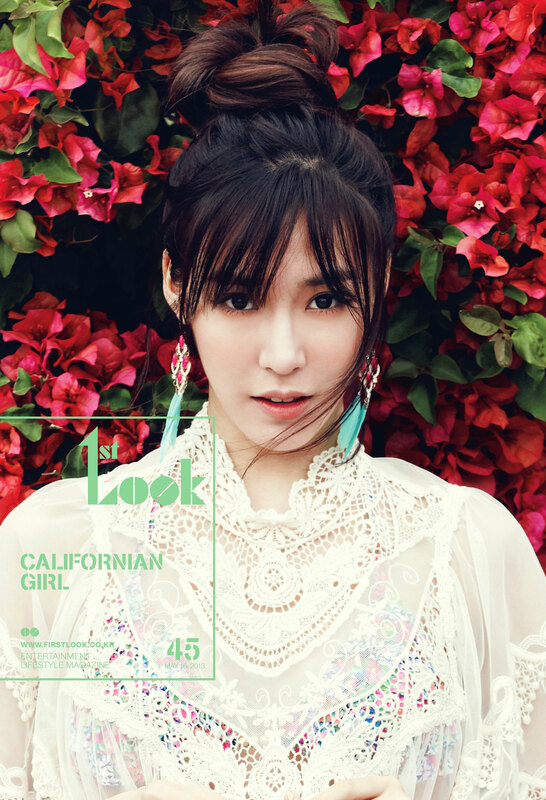 Tiffany of Korean pop group Girls’ Generation in June issue of 1st Look [Kr] Magazine. Photos taken at Venice Beach and Santa Monica near her Californian hometown when she was back for holiday (and also to throw a first pitch for the LA Dodgers) in May. Krystal of Korean pop group f(x) in First Look Magazine [Kr], donning a costume made with feathers. The dress is a winning piece from an episode of fashion competition show Project Runway Korea which she appeared as special guest.